Taking a look at your CO2 laser optics can often provide a quick assessment of whether they need to be replaced. Laser output power can be low and this can be contributed to by underperforming optics--such as dirty or worn focus lenses. 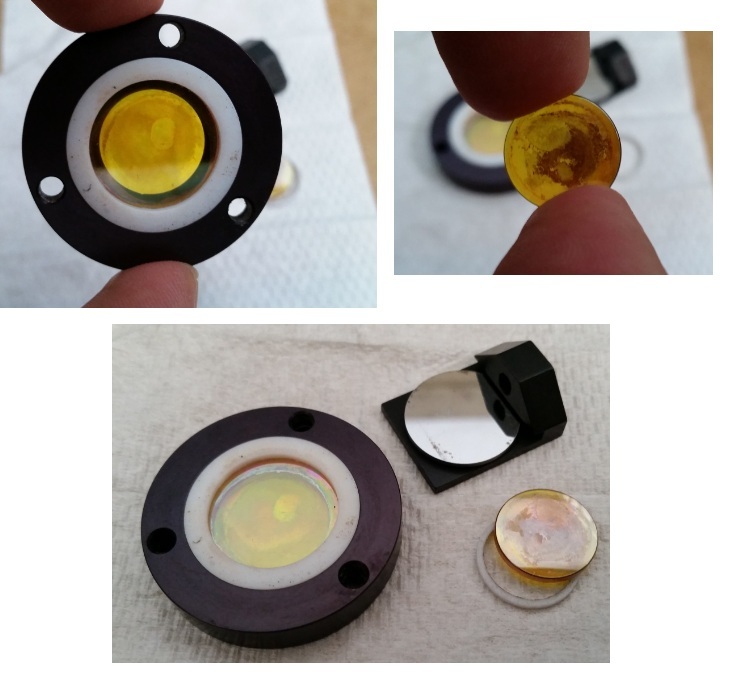 A ZnSe, or zinc selenide focus lens, that is yellow in color will have a nonreflective coating on the surface. If the coating is peeling off or worn away in some portion, then the focus lens should be replaced. If the lens has visible dirt on it then it should be cleaned. Ideally, this is done with high grade alcohol and cotton swabs. If the dirt cannot be removed then replace the lens. Mirrors can also be a cause for loss in laser power to the workpiece. Inspect the mirrors for dirt or worn di-electric coatings and clean or replace as necessary. We stock better quality laser lenses and mirrors for brand name laser engravers. It is important to know that lower quality ZnSe/coatings will not transmit full power andabsorb laser energy. Therefore, it is wise to consider your investment in CO2 laser power (often the most expensive component in the laser machine) then consider the investment in the optics (very small) and why it makes sense to spend a little more on optics in order to realize your investment in laser power. 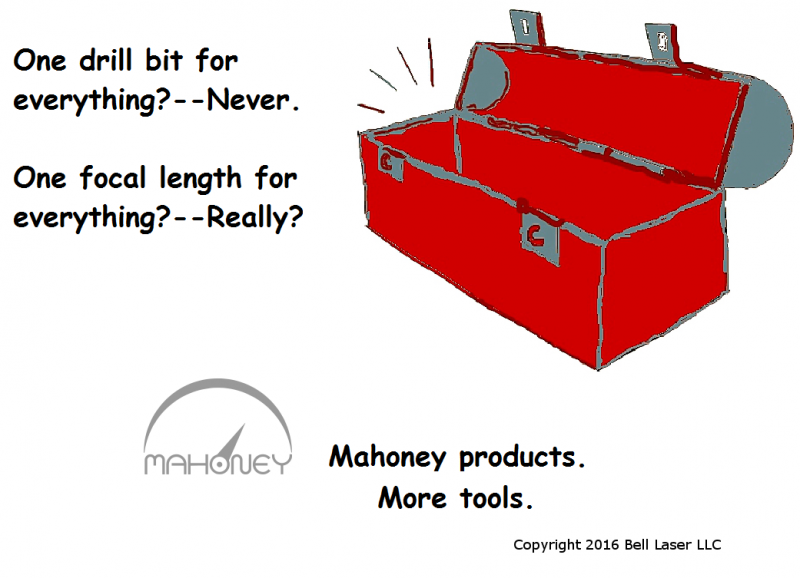 Purchasing the Mahoney CO2 laser power meter probe for CO2 laser machines is an inexpensive way to check optics by monitoring laser power absorption. This older Gravograph (New Hermes) laser engraver has a worn focus lens that needs replacement. The loss of the coating can be seen at various angles. The purpose of the coating is Anti-Reflection and it is named an AR coating. The coating permits the maximum amount of CO2 laser energy to pass through the lens and be focused on the material for laser engraving and cutting. Without the coating, up to a 30% loss occurs because the laser power is reflected off the top of the lens and does not transmit to the workpiece. Lower grade coatings and ZnSe material can result in lower quality engraving and cutting. Switch to higher quality today and see the results. Contact us for your optics needs. Provide your optics information for a price quote or questions answered.